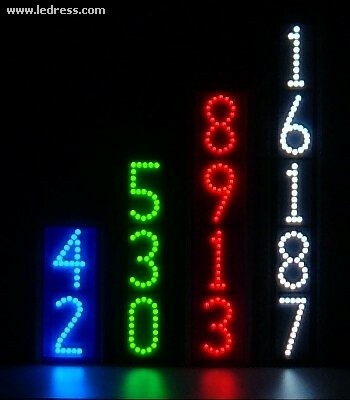 Not just another pretty set of LED-lighted house numbers! 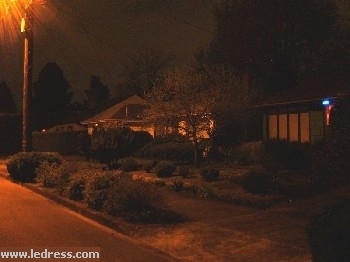 LEDress ™ LED address numbers are shining on the "Street of LEDreams" in several colors every night. This display can give a contemporary, modern accent to any home. These custom decorative units are low-voltage and economical to operate, providing prestige and utility in the same package to home designer or dweller. 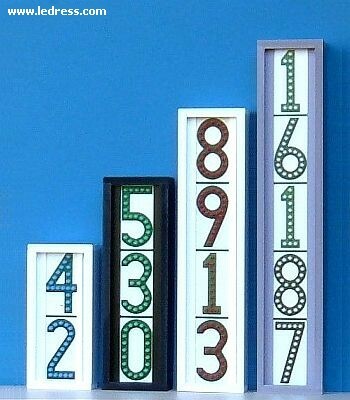 LEDress is a house number sign of the times! There are some customer-supplied photos lower on the page.